How Can I Sing the Lord’s Song in a Strange Land? Once again, I surrender myself into your loving care, Heavenly Father, trusting in your plan for my life and your thoughts for me. Please encourage the faith of others, especially my children, by a good report and I pray for more years of service in helping to build a future generation of your disciples…nevertheless, not my will but yours be done. I knew that the next day I would preach to our graduate school chapel community this message from Psalm 137 on how to sing the Lord’s Song in a strange land. In other words, how does one continue in the faith and grow in his or her salvation in the face of difficult situations which make us feel like we are exiles in a strange land? My target audience in chapel is especially the new students, many of whom are internationals, who have been here only a week. They have come to live in this very strange land of academia for the next 2-5 years depending on their program – far away from home and the familiar. It must be so difficult for them. But as I sat waiting for my scans, I knew that no matter what the outcome, I would also be preaching to myself living in the strange land of cancer. I realize how easy it is to “sing my song” in the familiar and while the sun is shining, as Matt Redman suggest by the lyrics to his song: “Blessed be your name when the sun’s shining down on me, when the world’s all as it should be, blessed be your name. ” It’s far more difficult to sing, “Blessed be your name on the road marked with suffering, though there’s pain in the offering, blessed be your name.” In fact, how can you sing at all? And so the next day (Wednesday), I was sitting in chapel alone as students, staff, and faculty were arriving. I was praying and preparing my heart to preach when I got a text message saying that I was still clear of cancer and the nodules in my lungs had not grown and remain unremarkable (this was just confirmed today 9/10/18 by my oncologist PA). Just then, chapel began and soon I was preaching my message with a conviction mixed with relief. They believed that God was Sovereign and that nothing came to them except through his hand. They believed that God would always keep his covenant promises and would never leave them. They believed in the community of fellow sufferers and did not pull away to suffer alone. I cling to these. These are weighty matters. Take them to heart no matter in what strange land you find yourself… and keep singing! That is not how you spell forbearance; it is not a golf-term. Rather, it is an essential ingredient of walking worthy of Christ and of maintaining the unity of any relationship that God has formed for you. This is what Paul says in Ephesians 4:1, 2 (minus the reference to golf). With all lowliness – Humility; …compare also the following places, where the same Greek word occurs: Philippians 2:3, “in lowliness of mind, let each esteem other better than themselves;” Colossians 2:18, “in a voluntary humility;” Colossians 2:23; Colossians 3:12; 1 Peter 5:5. The word does not elsewhere occur in the New Testament. The idea is, that humility of mind becomes those who are “called” Ephesians 4:1, and that we walk worthy of that calling when we evince it. And meekness – Meekness relates to the manner in which we receive injuries. We are to bear them patiently, and not to retaliate, or seek revenge. The meaning here is, that; we adorn the gospel when we show its power in enabling us to bear injuries without anger or a desire of revenge, or with a mild and forgiving spirit; see 2 Corinthians 10:1; Galatians 5:23; Galatians 6:1; 2 Timothy 2:25; Titus 3:2; where the same Greek word occurs. With long-suffering – Bearing patiently with the foibles, faults, and infirmities of others… The virtue here required is that which is to be manifested in our manner of receiving the provocations which we meet with from our brethren. No virtue, perhaps, is more frequently demanded in our contact with others. We do not go far with any fellow-traveler on the journey of life, before we find there is great occasion for its exercise. He has a temperament different from our own. He may be sanguine, or choleric, or melancholy; while we may be just the reverse. He has peculiarities of taste, and habits, and disposition, which differ much from ours. He has his own plans and purposes of life, and his own way and time of doing things. He may be naturally irritable, or he may have been so trained that his modes of speech and conduct differ much from ours. Neighbors have occasion to remark this in their neighbors; friends in their friends; kindred in their kindred; one church-member in another. A husband and wife … can find enough in each other to embitter life, if they choose to magnify imperfections, and to become irritated at trifles; and there is no friendship that may not be marred in this way, if we will allow it. Hence, if we would have life move on smoothly, we must learn to bear and forbear. We must indulge the friend that we love in the little peculiarities of saying and doing things which may be important to him, but which may be of little moment to us. Like children, we must suffer each one to build his play-house in his own way, and not quarrel with him because he does not think our way the best. All usefulness, and all comfort, may be prevented by an unkind, a sour, a crabbed temper of mind – a mind that can bear with no difference of opinion or temperament. 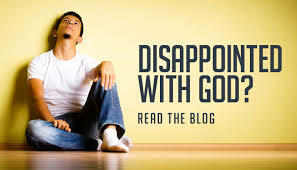 A spirit of fault-finding; an unsatisfied temper; a constant irritability; little inequalities in the look, the temper, or the manner; a brow cloudy and dissatisfied – your husband or your wife cannot tell why – will more than neutralize all the good you can do, and render life anything but a blessing. It is in such gentle and quiet virtues as meekness and forbearance, that the happiness and usefulness of life consist, far more than in brilliant eloquence, in splendid talent, or illustrious deeds, that shall send the name to future times. It is the bubbling spring which flows gently; the little rivulet which glides through the meadow, and which runs along day and night by the farmhouse, that is useful, rather than the swollen flood or the roaring cataract. Niagara excites our wonder; and we stand amazed at the power and greatness of God there, as he “pours it from his hollow hand.” But one Niagara is enough for a continent or a world; while that same world needs thousands and tens of thousands of silver fountains, and gently flowing rivulets, that shall water every farm, and every meadow, and every garden, and that shall flow on, every day and every night, with their gentle and quiet beauty. So with the acts of our lives. It is not by great deeds only, like those of Howard – not by great sufferings only, like those of the martyrs – that good is to be done; it is by the daily and quiet virtues of life – the Christian temper, the meek forbearance, the spirit of forgiveness in the husband, the wife, the father, the mother, the brother, the sister, the friend, the neighbor – that good is to be done; and in this all may be useful. For those who are familiar (or not) with Charles Haddon Spurgeon devotional “Morning and Evening,” this was the entry for January 13th. Read it carefully. May it bring hope to you if you are facing a seemingly hopeless situation. The axe-head seemed hopelessly lost, and as it was borrowed, the honour of the prophetic band was likely to be imperilled, and so the name of their God to be compromised. Contrary to all expectation, the iron was made to mount from the depth of the stream and to swim; for things impossible with man are possible with God. I knew a man in Christ but a few years ago who was called to undertake a work far exceeding his strength. It appeared so difficult as to involve absurdity in the bare idea of attempting it. Yet he was called thereto, and his faith rose with the occasion; God honoured his faith, unlooked-for aid was sent, and the iron did swim. Another of the Lord’s family was in grievous financial straits, he was able to meet all claims, and much more if he could have realized a certain portion of his estate, but he was overtaken with a sudden pressure; he sought for friends in vain, but faith led him to the unfailing Helper, and lo, the trouble was averted, his footsteps were enlarged, and the iron did swim. A third had a sorrowful case of depravity to deal with. He had taught, reproved, warned, invited, and interceded, but all in vain. Old Adam was too strong for [this] young [man], the stubborn spirit would not relent. Then came an agony of prayer, and before long a blessed answer was sent from heaven. The hard heart was broken, the iron did swim. The temptation of Jesus in Matthew 4 is fascinating especially as we compare it to the temptation of Adam and Eve in Genesis 3. I say Adam and Eve because Adam wasn’t off playing golf somewhere while Eve was being tempted, but was right there in all of his masculine silence (Gen 3:6). In Rom 5, Paul actually lays blame for sin entering the world upon the man and not the woman. Thus you have a sense that in Matt 4 Jesus is the “Second Adam” ; he is God’s Champion fighting to win back the territory lost to Satan by sinful humanity. What is striking is the contrast between the two temptation scenes. Genesis 3 occurs in the midst of a garden of plenty; the only place in human history where the phrase “it doesn’t get any better than this” would have been an accurate description. The two humans were fat, full, and free. Jesus, on the other hand was in a desert wilderness not a garden; he was alone and hungry after fasting for 40 days. This contrast shows us that Old Clawfoot (I’m not talking about bathtubs) can come at us whether we are in plenty or in want, happy or suffering, married or single. In both cases old Claw-foot sought to insinuate that God didn’t care for his sons and daughter by calling into question the Word of God. Satan did the same thing in the Book of Job, where he questioned the Word which God spoke about his servant Job by insinuating that the only reason why Job was faithful was because he knew where his bread was buttered. In other words, God is not worthy to be worshiped for who He is unless He pays off His worshipers with benefits. “But stretch out your hand and strike everything he has, and he will surely curse you to your face” (Job 1:11). Satan said virtually the same thing in Job 2:5. One thing you can always bank on is that Satan hates God and is jealous of His position. His deepest desire is to be worshiped and this was made abundantly clear in the third temptation of Jesus in Matt 4. Thus while Satan’s strategy changes from person to person and situation to situation, what remains the same are his lies and insinuations about God and His goodness. He will always tempt us to doubt God’s Word and to act independently of God’s provision. Remember that he is a liar (the father of lies) and will offer you anything because he never has to make good on those promises. He is incapable of speaking the truth; truth gets stuck in his throat. He may promise you the moon but in the end you will have nothing but moldy cheese. Perhaps you are in a place of pain or suffering some kind of deprivation; beware lest you be tempted to believe that God does not care what you are facing or that you are being punished for your sins so that you are on your own to find relief. I am reminded of how Solomon Northrup (Twelve Years a Slave) hung on to his identity as a beloved son of God in spite of the horrors of his being kidnapped and enslaved during the Civil War. Let us not lapse into self-pity or listen to the plausible arguments of Old Clawfoot. Let us instead, like our Savior, listen to the Word of God: “Fear not little flock for it is your Father’s good will to give you the kingdom” (Luke 12:32). “Do not let your hearts be troubled. Trust in God; trust also in me (Jesus)” (John 14:1). Nothing “will be able to separate us from the love of God that is in Christ Jesus our Lord” (Rom 8:39). Then Moses turned to the Lord and said, “O Lord, why have you done evil to this people? Why did you ever send me? For since I came to Pharaoh to speak in your name, he (Pharaoh) has done evil to this people, and you have not delivered your people at all” (Ex. 5:22, 23). We cannot manage God; we must learn to trust him. He is our Father, who loves us and yet is also the sovereign God of the universe who is working out his redemptive process for us and the world. It is only by faith born of experience that we will learn to glory in the process and not judge God by a certain circumstance. This past Sunday, I officially stepped down as the pastor of Community Fellowship Church of West Chicago. It was in the context of an inspiring outdoor service where hundreds of us worshiped the Triune God led by an inspired worship team of musicians, singers, and techno-ministers. I brought a brief (by my standards) message, passed the baton of spiritual leadership and responsibility to our new pastor Will Pavone. We then celebrated the Lord’s Supper, sang “Christ Alone,” and then spent the rest of the afternoon partying. During the festivities, a ton of people gave Gloria and me lots of hugs and affirmations for our 9 years of ministry at CF, and wishing me the best in my new responsibility as the interim chaplain at Wheaton College. They also embraced and welcomed Will and Carrie Pavone, Liam, Olivia, and Quinn (8, 7, 5- I think). There were many new families present as well who were encouraged by the transition and excited about this new chapter (chapter 3) in the life and ministry of this wonderful congregation. My farewell message was based upon Jonathan Edwards’ Farewell Sermon preached in 1750 to his Northampton congregation of 23 years after they had fired him. While the circumstances of my leaving are vastly different (thankfully), some of Edwards’ comments were pertinent. He acknowledged that ministers and the people under their care must often be parted in this world; sometimes by death, but more often by life. “We live in a world of change where nothing is certain or stable and where a little time, a few revolutions of the sun, brings to pass strange things…” Amen. Edwards also told the congregation that he had labored fully for their eternal welfare. “You are my witnesses, that what strength I have had, I have not neglected in idleness, nor laid out in prosecuting worldly schemes for the advancement of my outward estate, and aggrandizing myself and my family; but have given myself to the work of the ministry laboring in it night and day, rising early, and applying myself to this great business to which Christ has appointed me.” You are also my witnesses. Finally Edwards gave two characteristics of what to look for in a new minister: a man who knows God’s Word and can teach the sound principles of doctrine; a man who has an established character and a true “experimental” religion—an authentic, practical faith. Thus a church should find a man who not only preaches the Word, but lives it out. And I believe that Community Fellowship Church has found such a man in Will Pavone. It was a wonderful day that will be woven into the fabric of our lives along with the memories of the other congregations we have served. Thanks be to God.